EXTENDE takes part in the ANR (French National Research Agency) project MOSAICS. The MOSAICS project is an Industrial Research project selected by the AAP Digital Models on Thematic Axis: “Modeling and simulation of complex systems” and “Uses and Applications”. The project will last 43 months (October 2011 – May 2015) and represents a total investment of 2.224.124 €. The projet is supported by the ANR for an amount of 946.874 €. 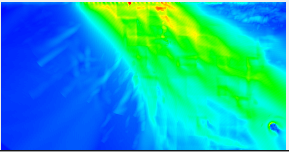 The simulation of an NDE method can bring an important added value for users: costs reduction and performance optimization when designing testing methods or during their qualification process (performance demonstration), help during the analysis of inspection results and a better understanding of physical phenomena. In the case of austenitic welds testing, the studies carried out so far have considered only 2D configurations and a specific welding process. However, the new industrial applications present more complex geometries and materials, whose study requires to take into account 3D configurations. The project goal is to develop and validate simulation tools for ultrasonic testing of austenitic welds in 3D configurations in order to make NDT of this kind of welds present on EDF and DCNS installations reliable. MOSAICS aims also at bringing into the CIVA platform a new module for the modeling of austenitic weld testing. The welds encountered in EDF installations and DCNS constructions are subject to mechanical and thermal solicitations which can generate the apparition of in-service flaws. For safety raisons, it is essential to be able to reliably detect those flaws. However, austenitic multi-pass welds are characterized by anisotropic and heterogeneous structures which generate a lot of perturbations of the ultrasonic beam during an inspection. That is why, nowadays, the existing industrial processes are limited for the inspection of this type of material, and MOSAICS aims at eliminating these limits. Why such a tooL ? Simulation enables the development and the optimization of testing methods. It plays a more and more important role in the conception of probes, support for technical qualification and performance demonstration, expertise and flaw analysis. 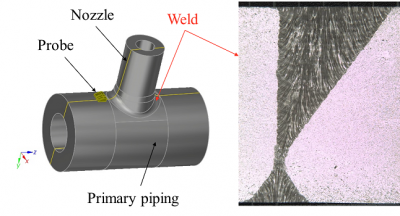 In the case of austenitic welds, simulation can also be used for recommending a welding process. Indeed, parametric studies allow to optimize the choice of some parameters (e.g. passes sequence) which have an influence on the ultrasonic propagation. To reach the ambitious goals of the project, simulation has to be able to deal with realistic industrial testing configurations, which means taking into account all the parameters involved during the inspection (materials, flaws, sensors, geometries). The possibility to carry out parametric studies while changing the values of these influent parameters presents another upside of simulation. Indeed, it allows the reduction of the amount of experimental tests, and thus the amount of mock-ups to build for performance demonstrations. Finally, the different types of vizualisation of the computation results are very useful to understand the origin of the different perturbing phenomena, as for example the presence of parasitic ultrasonic echoes. 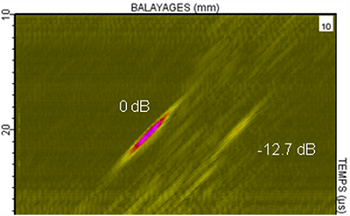 In France, two complementary simulation codes are developed in order to study the problematic of the ultrasonic testing of anisotropic and heterogeneous polycrystallinematerials. The Finite Element code ATHENA, developed by EDF R&D, allows to study the propagation in those materials as well as the interaction of the beam with complex flaws. With this Finite Element code, every propagation and interaction phenomena can be simulated, including the mode conversion phenomena susceptible to generate parasitic echoes. Only the 2D version is operational, which sets the current limits of the code. A 3D version is in development. It takes into account anisotropic texture in any direction, but also allows to model probes and flaws with 3D characteristics. The CIVA software, developed by the CEA, proposes beam and echoes computation modules based on semi-analytical formulations. These modules enable to define complex 3D computations configurations in terms of flaws, probes and geometries. Austenitic welds can be taken into account as well, with application limits due to the simplifying hypothesis imposed by the semi-analytical methods. 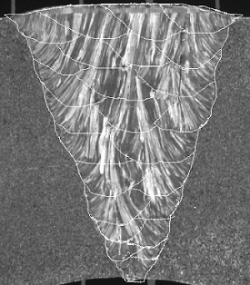 Specifically, some complex propagation phenomena generated by the heterogeneity of the weld, as for example the surface waves at the interface between two different media, are imperfectly taken into account. 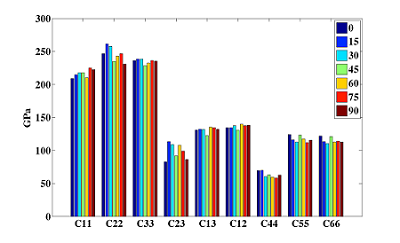 Improving of such simulations is ongoing and thanks to a smoothly inhomogeneous description of the weld and a dynamic ray tracing (DRT) approach, the semi-analytical models included in CIVA software were improved to better predict the ultrasonic propagation in highly anisotropic and heterogeneous structures. The complementarity of both codes, ATHENA and CIVA, is essential for a correct 3D analysis of welds ultrasonic testing. A hybrid code coupling both approaches is being developed. 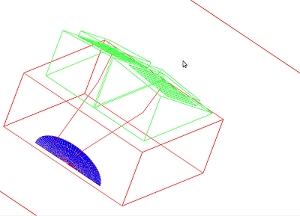 It will use the CIVA modules for the beam generation in the material, and a finite element box of small size for the computation of the interaction between the beam and the flaw or a complex structure. The academic partners (INSA Lyon and Université de la Méditerranée) have developed specific set-ups or models to determine the material properties used as input data for the modeling codes (grain orientation, elastic properties and attenuation coefficients). In the NDT field, the CEA LIST is one of the most important research laboratories in the world and has a great expertise. A department gathering one hundred persons is dedicated to research and development activities regarding two axes for ultrasonic, Eddy current and radiographic methods: on the first hand the modeling, the simulation and the data processing, on the other hand, the instrumentation and the conception of probes and innovative methods. The CEA LIST develops the multi-technic simulation platform CIVA (ultrasonic waves, electromagnetic methods, radiography). It currently offers a complete set of simulation in terms of ultrasonic beam computation and interaction between the wave and the defect. The models have been experimentally validated, especially in the frame of international benchmarks and inter-models comparisons. The CEA LIST has as well strong competences in experiments and instrumentation. It possesses numerous experimental facilities (ultrasonic tank and other ultrasonic data acquisition facilities). The activity is focused on the phased-array technology with in particular the development of new probes technologies as conformable ultrasonic probes, flexible and “intelligent” matrix transducers. DCNS is the French master-builder for the military naval systems. Moreover, the keeping under operational conditions is one of its important development axes, which results in a will to adapt to the NDT offers in conformity with the requirements of the maintenance contracts with the National Marine. The Materials Laboratory of DCNS realizes all the studies and materials expertise for the DCNS group. More specifically, it ensures the qualification and the development of the welding methods used in factories and develops the associated NDT methods. Its systematic expertise of damages cases gives it an important experimental feedback. In this laboratory, the NDT service develops and applies ultrasonic tests processes using contact or immersion, mono or multi-elements probes associated with encoded or motorized cartography mechanisms. The historical origin, the geographical position of the laboratory (on the fabrication site of nuclear stokeholds) and its missions gave it an important experimental feedback in the field of austenitic welds testing. EDF R&D is the project coordinator. The R&D laboratories of EDF have realized for a long time projects in the field of NDT in order to evaluate, ensure and improve the testing performances on the electronuclear park. EDF R&D is organized in departments, of which three are involved in this project. The MMC (Materials and Components Mechanics) has significant skills in the NDT field and materials science. The MMC possesses specific skills in multi-physics and multi-scales weld modeling. Finally, the SINETICS develops several codes in the NDT field: the finite element code ATHENA for the ultrasonic testing, the MODERATO code using a MONTE-CARLO method for the radiographic control. In addition to the CEA, historical partner, EDF R&D has created scientific partnerships with several university laboratories. In the materials science field, the laboratory MATHEIS of Lyon’s INSA is identified as the strategic partner of the MMC department of EDF R&D. The ATHENA code has been developed collaboratively with the POEMS laboratory of the INRIA. As for the MINA model, it has been developed in the frame of a PhD in collaboration with the LCND of the Mediterranean University. Finally, EDF R&D contributes to GDR-Waves (GDR 2451) and GDR-Ultrasonic Waves (GDR 2501). EDF R&D also possesses numerous experimental facilities, in the NDT field (ultrasonic testing tanks with automated acquisition systems), and in the materials characterization field (X-Rays diffraction facilities, pictures analysis systems…). Finally, EDF R&D is equipped with welding sets (automated or robotized) allowing the covering of a large range of arc welding processes. Founded in late 2009, EXTENDE’s mission is to bring concrete and efficient NDT solutions based on simulation and intellectual reasoning. EXTENDE wants to improve the reliability and optimization of NDT performances, in order to improve the client companies competitiveness. EXTENDE is the distributor of the CIVA software platform developed by the CEA LIST. This distribution offer comes along with services including CIVA technical support, training to the use of the software, the realization of simulation studies and NDT counselling through a technical assistance available at the different steps of the elaboration and implementation of an NDT process. EXTENDE gathers specialists in CIVA modeling doubled by operational and industrial experience, conferring it a very specific legitimity to embody the link between the Research world and the community of industrial users of modeling codes. Innovation supplier, EXTENDE participates in the R&D effort deployed around the CIVA platform. An R&D agreement connects EXTENDE and the CEA LIST. Moreover, EXTENDE is contributor in the ANR-COSINUS MACSIM project and has already offered to participate in others R&D projects. The LCND is currently the laboratory of the Mediterranean University, and the laboratory for the graduate school 353 “Engineering Sciences: Mechanics, Physics, Micro and Nano electronics”. The LCND presented to the AERES, in January 2011, its request for a rapprochement with the LMA (UPR 7051) for the quadrennial 2012. The workforce amounts, for 2010-2011, to 20 persons including 10 supervisors (HDR and PhD). Study and modeling of materials and real structures to be characterized (taking into account the material at the necessary scale, research of the diffusion causes, study of more efficient models). Study and modeling of ultrasonic propagation, taking into account the heterogeneity, the anisotropy, the multi diffusion, the attenuation and the structural noise. Experimental methods and validation on real specimen (reality of the material, the geometry, with attenuation and noise), with a real ultrasonic beam (divergence, band width), and validation taking into account the measuring uncertainties. Optimisation of the diagnosis (inversion of the direct model, according to experimentations on the real specimen…). The LCND participated (2006-2010) in 3 ANR research programs, “ACTENA”, “SENSO” and “SISTAE”. It is part of the GDR 2501 “Ultrasonic propagation for NDT”, and is responsible of the “structural noise” topic. This GDR became international in 2011. The LCND is currently engaged in the FUI program “CRISTAL” (2009-2012) about the “Forged Carbon” characterization. The LCND also participates in another ANR project submission, “EVADEOS” (sustainable cities). Finally, the LCND pilots the ANR Blank project MACS-ADH (structural montage) submitted in January 2011. The expertise of the LCND has been recognized for several years in the field of NDT complex welds with 5 defended thesis, several research contracts with EDF, the CEA, and with the development of the MINA model. ENDV is a transversal group of the MATEIS laboratory of Lyon’s INSA developing its own research thematics in three specific fields: the ultrasonic nondestructive characterization, the processing of acoustic emission data, the micromechanical modeling. The applications are related to all the types of materials studied in the other research groups of the laboratory: ceramics, metals, polymers, composites. The group came into existence from the fusion between an NDT team and a micromechanical modeling team, thus combining skills in modeling and experimentation in the fields of micromechanics, acoustics, data processing and statistical physics. Regarding more specifically the non-destructive characterization of materials and the monitoring of their damage, ENDV-MATEIS developed skills in the fields of ultrasonic waves, Eddy currents and acoustic emission. ENDV-MATEIS has specific experimental resources, mostly developed internally, in the frame of PhDs. ENDV-MATEIS and EDF R&D collaborated repeatedly on the topic of constants of elasticity characterization and attenuation in austenitic welds. The results obtained have contributed to the validation of the ATHENA code. The MOSAICS project "step by step"
Results of MOSAICs project were presented in different conferences (BINDT in 2013, Review of progress in QNDE, COFREND and ECNDT in 2014).